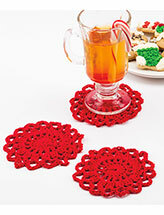 What a great way to use up worsted-weight cotton scraps! 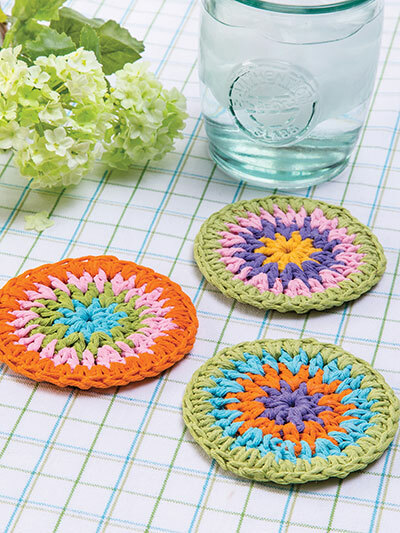 Mix and match bright colors and make a set for summer entertaining. 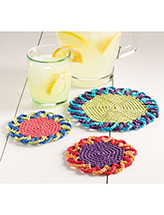 Each coaster uses 4 different colors and measures 3 1/2" in diameter.